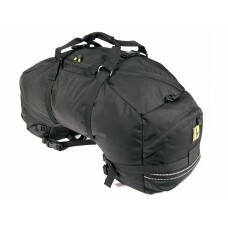 Wolfman's legendary, high quality, super tough, seat and tail bags may just be the easiest way to carry gear on your bike. 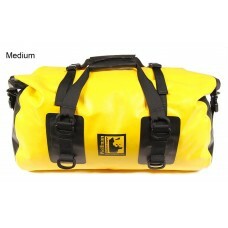 Whatever style of bike you ride Wolfman probably has a bag to suit your requirements. Whether it's a simple duffle bag or a fully featured, multi compartment bag, from small to big, for a trip to the cafe or the trip of a lifetime, all designed and manufactured in the USA. 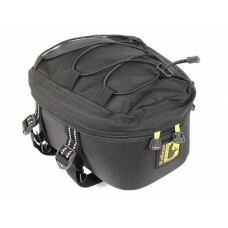 Wolfman Peak Tail Bag The Wolfman Peak Tail Bag is a great day use tail bag. 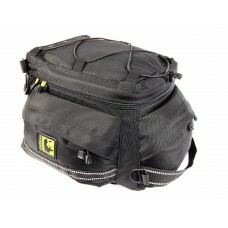 This wedge-sh..
Wolfman Wolf Tail Bag The ever popular Wolfman Wolf Tail Bag is a medium sized tail bag wh..
Wolfman Beta Plus Tail Bag The Wolfman Beta Plus Seat Bag is one of our favourite Wolfman ..
Wolfman Expedition Dry Duffle Bag The Wolfman Expedition Dry Duffle Bag is available in small (33..